Starting April 29, the iconic dome of the 117-year-old, glass-and-steel Enid A. Haupt Conservatory will undergo restoration in accordance with routine maintenance and operations of the Garden’s facilities. The great Conservatory, the centerpiece and symbol of NYBG, is the preeminent existing American example of the crystal palace glass-and-steel school of design developed in England and Ireland in the mid-19th century. It is the most important glasshouse in the country and one of the most beautiful in the world. Shortly after the Garden’s founding by eminent botanist Nathaniel Lord Britton and his wife, bryologist Elizabeth Knight Britton, the Board of Trustees authorized the building of the Conservatory, which has required constant maintenance and repair due to the tenuous balance of glass, wood, and metals subject to the heat and moisture required by indoor plants and the constantly changing external weather conditions of New York. Right now, cherries and crabapples paint the skies with pinks and purples while the daffodils of our One Million Daffodils initiative paint the ground in glorious swaths of yellows, creams, pinks, and oranges. Here you can see the unique color progression of Narcissus ‘Chromacolor’ as it matures from macaroni orange, to soft peach, to electric coral. Explore the slides to see more of our daffodil collection and the diverse expressions of beauty it offers, and don’t miss this outdoor spectacle as it reaches its peak this weekend on Daffodil Hill and in the Liasson Narcissus Collection! Stephen Sinon is the William B. O’Connor Curator of Special Collections, Research & Archives, of the LuEsther T. Mertz Library at NYBG. The Botanic Garden, published in 1792, is a set of two poems, “The Economy of Vegetation” and “The Loves of the Plants,” both written by Erasmus Darwin (1731–1802); grandfather of the more famous Charles Darwin (1809–1882). The first celebrates technological innovation, scientific discovery and theory. 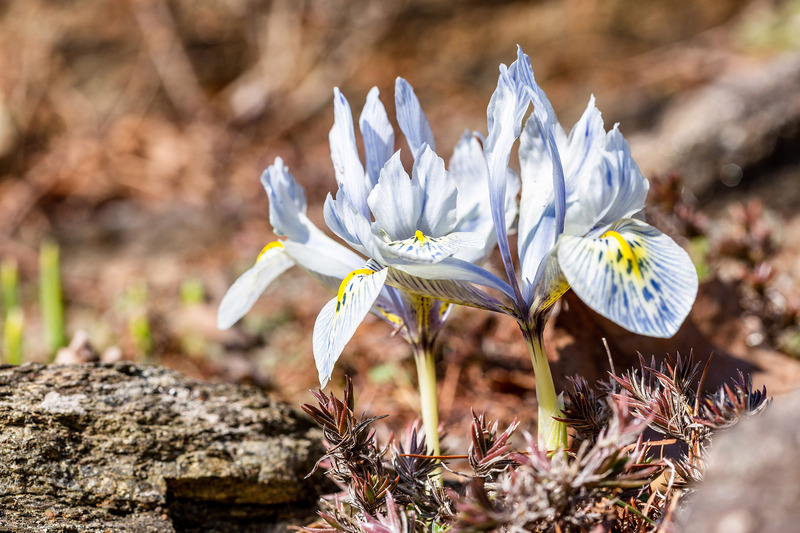 The second and more popular poem promotes and explains the Linnean system of plant classification. One of the first popular science books, the intent of The Botanic Garden was to pique popular interest in science. By embracing Linnaeus’s sexualized language, Darwin intended to make botany interesting and relevant to the readers of his time. 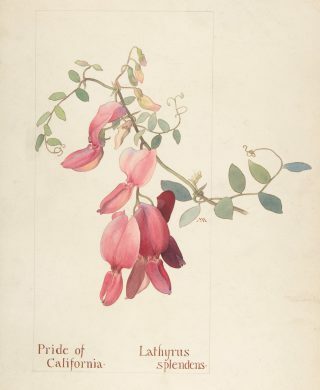 While many Englishmen of the time were scandalized by the sexual nature of Linneaus’ taxonomic system, Darwin openly embraced it, using suggestive images in his floral descriptions, writing of blushing virgins, handsome swains, and deceitful paramours. He emphasized the connections between humans and plants, arguing that they are all part of the same natural world and that sexual reproduction is central to evolution. His attempt to convey the wonders of scientific discovery and technology through poetry helped create a tradition of popular science writing which continues today. Patricia Gonzalez is an NYBG Visitor Services Attendant and avid wildlife photographer. 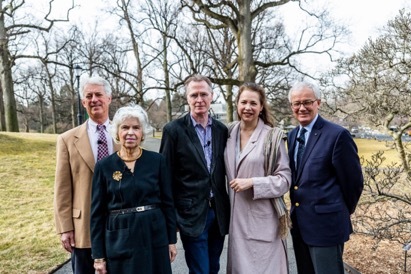 On Sunday, April 7, the Garden enjoyed sunny skies and 65-degree temperatures. The crowds of visitors weren’t the only ones out on that glorious day. During my lunch break, I headed out in the hopes that our reptile friends would make an appearance—and they did not disappoint. There were literally piles of red-eared sliders and painted turtles getting their tan on. I’m not sure how many, as I stopped counting after 40. And they say it’s not easy being green! As part of #plantlove at NYBG, we’re talking with people from all over the Garden about what inspires their passion for plants and our environment. Today, meet Fabian Michelangeli, Curator in the Institute of Systematic Botany at NYBG. I grew up outside Caracas, Venezuela, on the campus of a research institute where my dad is a researcher. All three of my maternal great uncles were systematists or taxonomists of some type, so it’s no surprise that I ended up working in biology. I always knew that this is what I would do, as I’ve always loved evolution and adaptations to new environments, and learning how organisms cope with that. Plants are a great system to answer questions about evolution and adaptation. I’ve gone collecting from areas at sea level to those at 13,000 feet above; places where you collect from your car, to places that require a week’s hike, or many days by boat. I’d rather be cold and wet in my tent than sitting at my computer. For my undergraduate thesis, I did an ecological study on the top of a mountain in southern Venezuela, by myself for a week while focusing on small mats of vegetation that grow on rocks. That, to me, is still one of the best weeks of my life, 25 years later. Samantha D’Acunto is the Reference Librarian at The New York Botanical Garden‘s LuEsther T. Mertz Library. 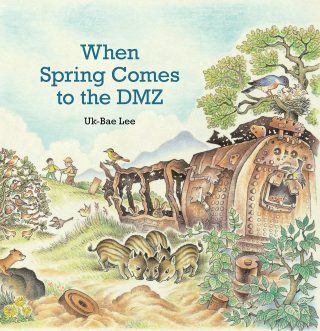 The LuEsther T. Mertz Library is celebrating the 100th anniversary of the Children’s Book Council—Children’s Book Week (April 29–May 5) with new titles, book bundles on various subjects, and more! Children’s Book Week is a national event that first started in 1919 to promote literacy among the nation’s youth. Each year readers are invited to celebrate this week in various ways at a number of participating institutions. This year, you can visit us in the library to celebrate or check your local public library for scheduled events. Be here now! The beauty of spring is swinging for the fences throughout our 250 acres, and we’ve got five highlights in particular that you won’t want to miss in this season of rapid color and change. 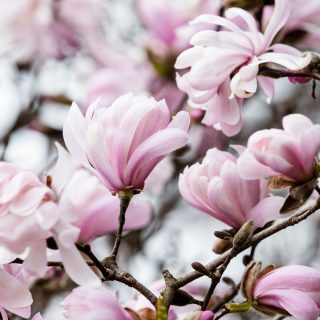 Daffodil Hill is a must-see, as are the flowering trees—like cherries and magnolias. Our first spring in the new Edible Academy is a great opportunity for families to get their hands dirty in the vegetable gardens, and as you explore, don’t forget to keep an eye out for migratory birds in this time of renewal. As part of #plantlove at NYBG, we’re talking with people from all over the Garden about what inspires their passion for plants and our environment. Today, meet Jessica Tobon, Outreach & Education Coordinator for the NYC Compost Project at NYBG. I love growing plants, learning their names, and watching them change day by day, a passion I discovered back in 2012. After graduating with a business degree, I found myself going through overwhelming family troubles, and my professors recommended I take a chance on something new. Soon after, I completed a six-week landscape architecture program at the Harvard Graduate School of Design. 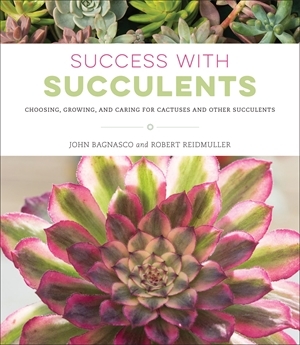 My new career path was clear, and I continued learning about plants while earning a Horticulture Certificate at NYBG, as well as a Master Composter Certificate with the NYC Compost Project. As a plant lover, it’s important for me to help close the cycle between plant cultivation and decomposition. Today I train Bronx volunteers and residents to compost their plant waste, and hopefully help inspire people to become plant lovers themselves. Esther Jackson is the Public Services Librarian at NYBG’s LuEsther T. Mertz Library where she manages Reference and Circulation services and oversees the Plant Information Office. 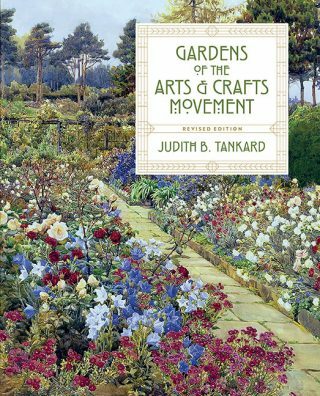 She spends much of her time assisting researchers, providing instruction related to library resources, and collaborating with NYBG staff on various projects related to Garden initiatives and events. 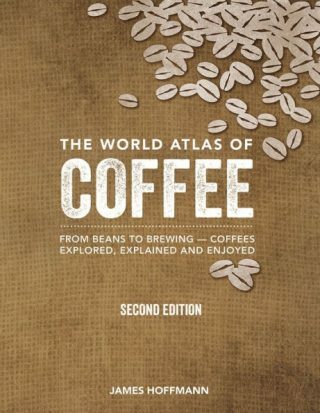 The World Atlas of Coffee: From Beans to Brewing—Coffees Explored, Explained and Enjoyed (2018) is a coffee table book that details the history of coffee, how coffee is prepared, and regions of the world in which coffee is grown. The author, James Hoffmann, is the 2007 World Barista Champion and runs a coffee shop in the UK. The 2018 publication is a second edition with updated statistics and data, with several new countries added to the text, including DRC, Uganda, Thailand, Philippines, China, and Haiti. Although this work presents as a reference book, there are no references cited. Historical images are not included in the photo acknowledgements. While the content is very interesting, without a clear indication as to where the information is coming from, the work is beautiful, but not scientifically valuable. However, in terms of providing entertaining facts and compelling images, this work is quite successful, and may appeal to a culinary historian or amateur chef. Lloyd Jones is an Assistant Gardener in NYBG’s Enid A. Haupt Conservatory. Within the Lowland Rain Forest house of the NYBG’s Enid A. Haupt Conservatory exists the only orchid genus from which a culinary product is derived. Native to the tropical Americas, it is widely cultivated in tropical climates throughout the world. 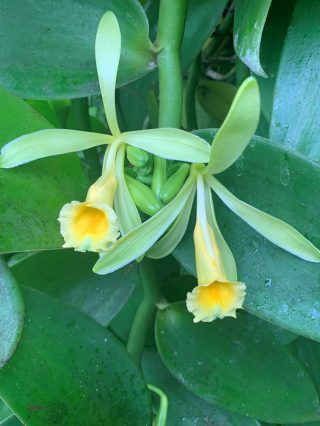 Vanilla planifolia is an orchid of unusual orchid characteristics, but provides a popular, gratifying flavor. The opposite and alternate foliage is flat, thus the specific epithet “planifolia.” It is classified as an epiphytic/terrestrial tropical vine with aerial roots for support and to collect nutrients and water. This plant thrives in moist, humid, and warm conditions with filtered light. The name vanilla comes from the Spanish word vainilla, meaning small pod. This year I have personally counted 13 clusters of flower buds, which are now unfolding one bud per cluster, per day. The flower color ranges from light green to pale yellow, and, because the native pollinator is not present outside the orchid’s native range, it must be hand pollinated during the morning of the first 24 hours when they flowers are receptive. For both educational and collections purposes, we plan on hand pollinating the flowers as they successively open. If pollination is successful, we expect to see the familiar vanilla pods forming over the next few months. Come visit and witness the origin of one the world’s favorite flavors!